Doug Cameron says the Government should enshrine the separation of church and state. There seems to be a thing in my family: my mother was a Catholic, my father was a Protestant, my daughter has married a Catholic and she was brought up with no religion because I am an atheist. I do not believe in religion; I do not think religion should be imposed upon anybody. If you want to be religious, my view is you have the right to be religious—that is part of people’s rights—but a civil marriage is no less important or valid than a church marriage. Senator Brandis said that marriage is an institution based on law, custom and religion. Well, Senator Brandis, you are wrong. My marriage of 41 years was not based on religion. You hear much about the sanctity of marriage in these debates. My marriage is not based on sanctity; it is based on love. That is what my marriage is based on. 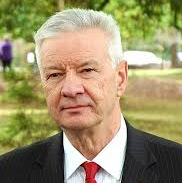 NSW Labor Senator Doug Cameron was even more blunt in his assessment. “I don’t want religion stuffed down my throat by anyone. It’s unacceptable to me and it should be unacceptable to this parliament,” he said.